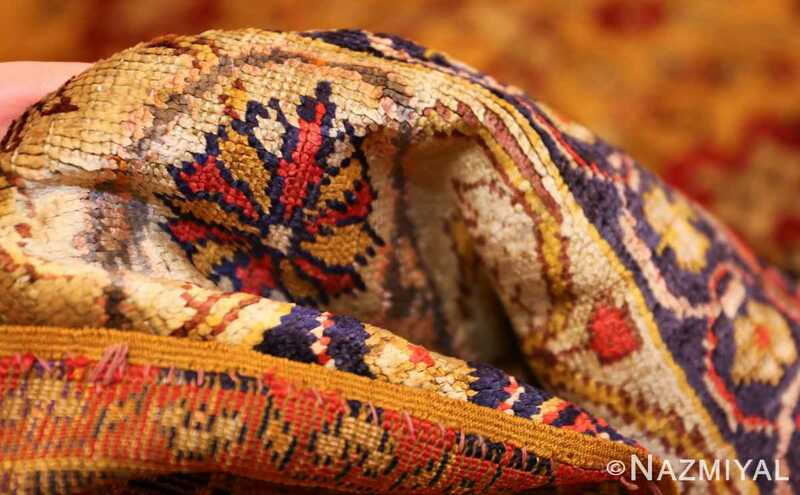 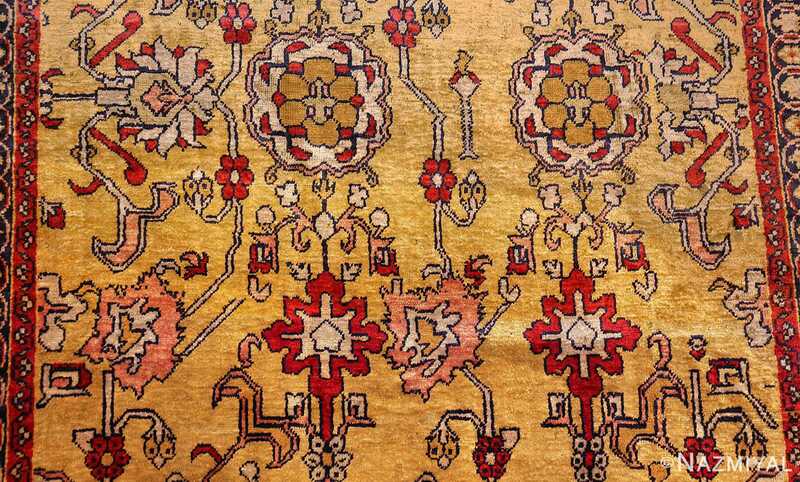 A suave “Afshan Repeat” or Harshang pattern of Persian or Caucasian type unfolds gracefully across the rich gold background of this incomparably elegant all silk antique Kayseri from Turkey. 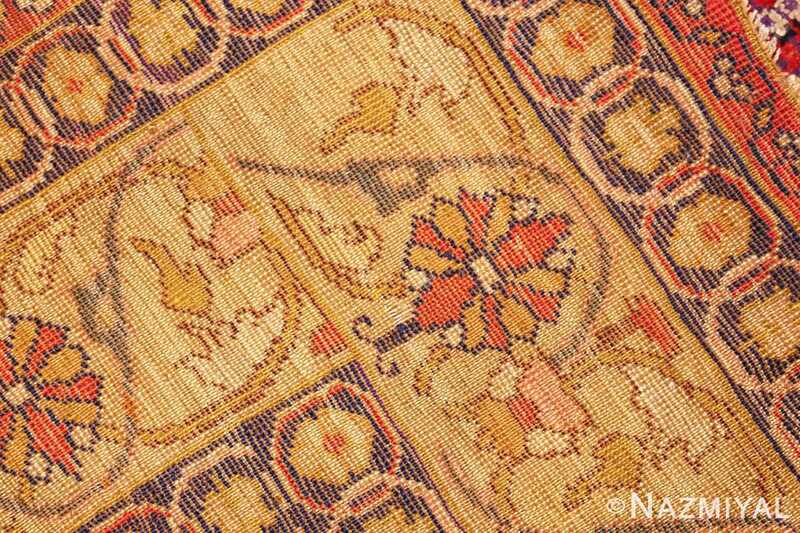 Beautiful Gold Colored background Antique Silk Turkish Kayseri Rug, Country of Origin: Eastern Central Turkey, Circa Date: 1900 – A suave “Afshan Repeat” or Harshang pattern of Perso-Caucasian type unfolds gracefully across the rich saffron ground of this incomparably elegant all silk antique Turkish Kayseri. 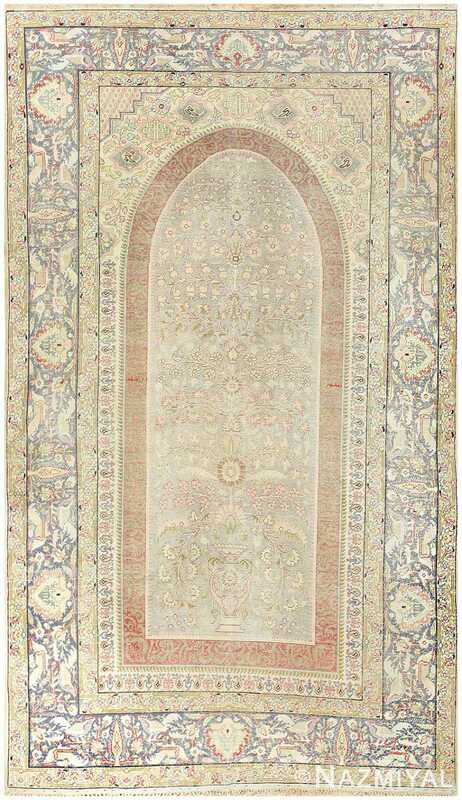 Large red, terracotta, and ivory scalloped rosettes and palmettes of classical derivation form a larger trellis linked by arabesque vines. 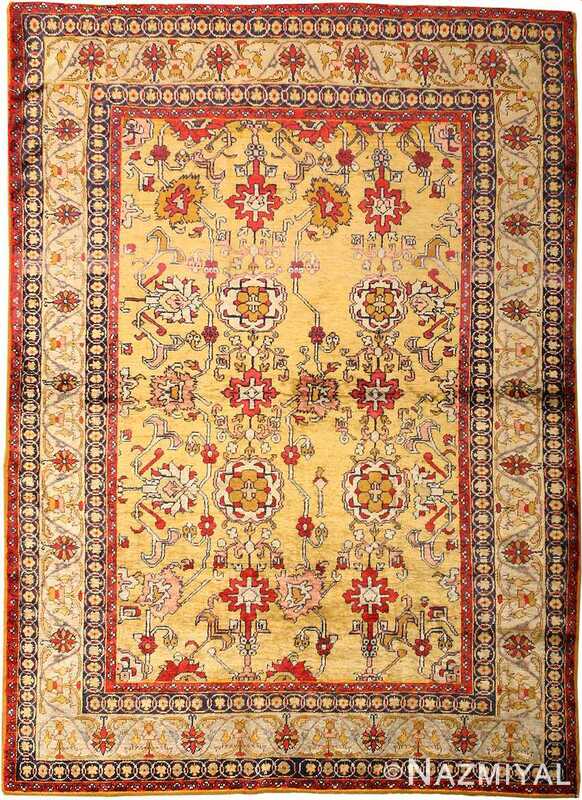 An interlacing vine scroll border on an ivory ground provides an appropriate frame, maintaining and affirming the classic refinement and stateliness of the field of this finely woven gold colored background silk Turkish antique rug. 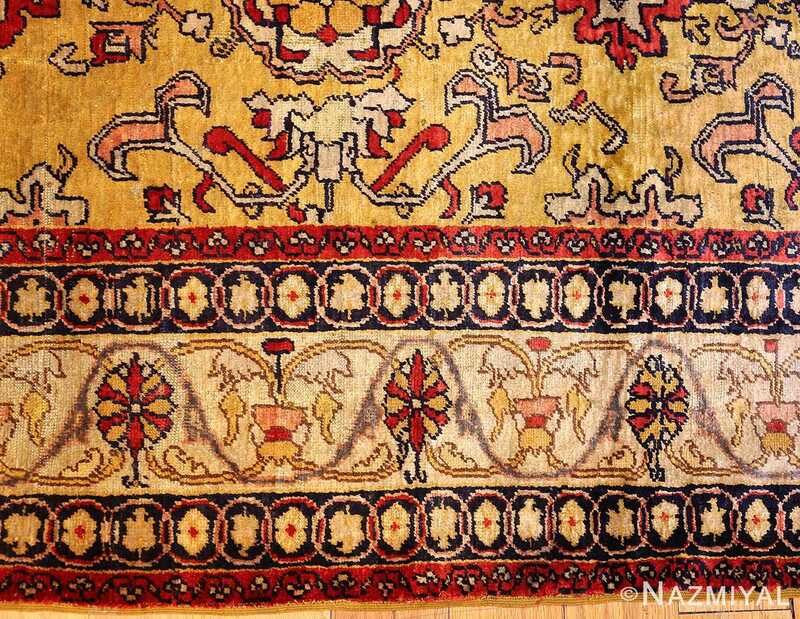 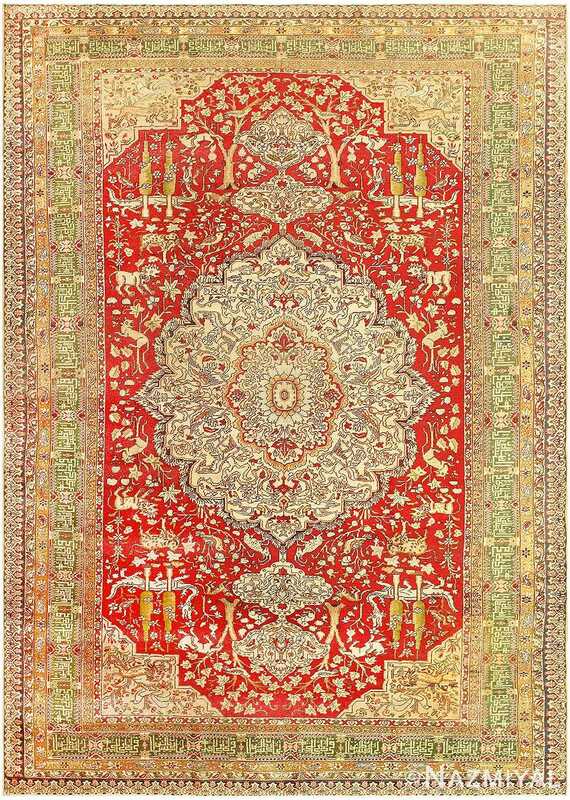 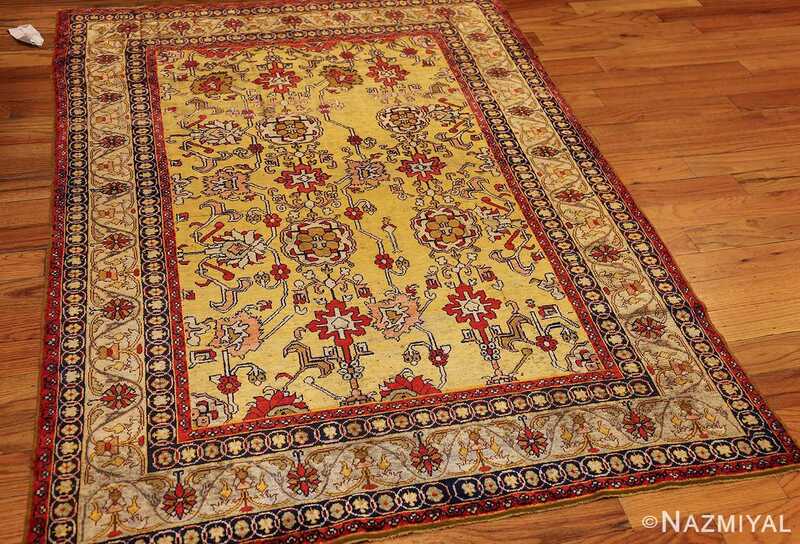 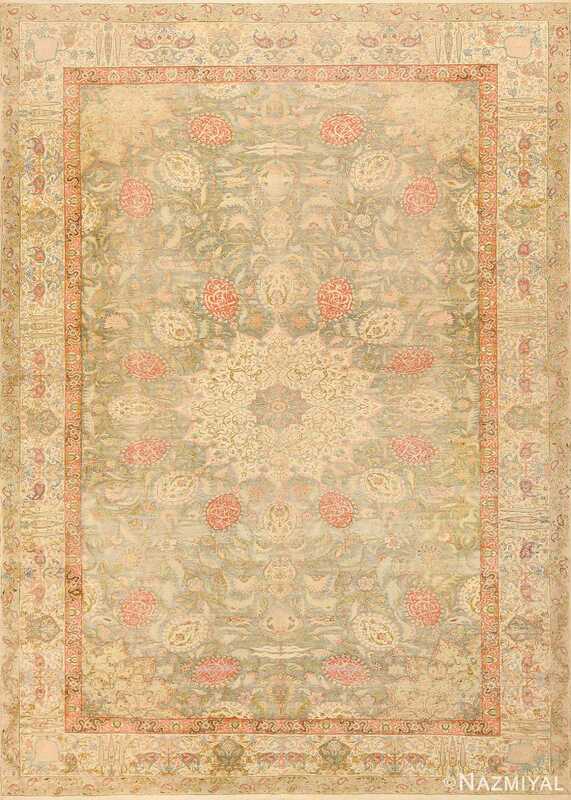 Characterized by an extremely fine composition, this antique carpet features both intricately drawn geometric detail work, as well as impeccably woven animal figures throughout.